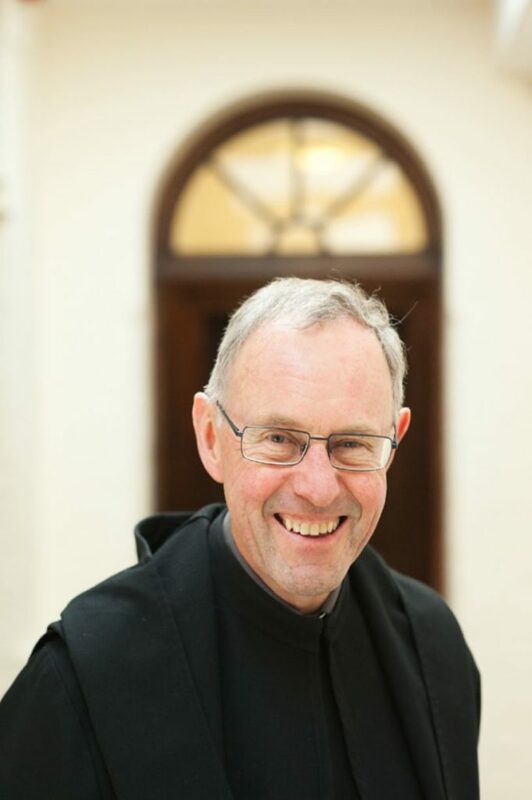 Fr Aidan took up the role of Parish Priest to Worth Abbey Parish in January 2015. “I was born in Newcastle upon Tyne 66 years ago and left home to study Chemistry in London. After college I worked initially as an industrial research chemist for a company in the Midlands which manufactured plastics. My next job was research into wood preservatives for Rentokil, based in East Grinstead. “In 1978 I joined the monastery at Worth Abbey. Following theology studies I was ordained to the priesthood in 1983 and was immediately sent to South East London where Worth Abbey had established a city monastery, which was to become an ecumenical centre for prayer. After seven years the house closed and I came back to Sussex where I have been ever since. “My roles in the monastery have included Guestmaster, several years as a school chaplain and science teacher. For the past ten years I have been the Bursar at Worth Abbey, a role which included looking after buildings and maintenance at a time when the School expanded to become a co-educational School. “During 2014, I was given a four-month sabbatical and I spent some time in Rome pursuing monastic studies followed by a spell in Jerusalem and the Holy Land where I studied the Gospel of St Mark. Finally I had the opportunity to follow up a personal interest when, with my brother, I walked over the Alps from Munich to Venice in 32 days, a journey of 360 miles and involving some 20,000 metres of ascent. Worth Abbey is a registered company, number 04475556, registered address Worth Abbey, Paddockhurst Road, Turners Hill, Crawley, West Sussex and a registered charity, number 1093913, registered address Worth Abbey, Paddockhurst Road, Turners Hill, Crawley, West Sussex.